The Diamond Multimedia AMP1000 Android Media player has taken Google’s Android operating system to a place where you’re not used to seeing it: On the big screen of your living room TV. The media player (about $120), which goes on sale today, streams video content from the Internet, supports full 1080P HD graphics, runs Android 2.3 and has full access to the Google Play app store’s massive collection of apps. Thus the AMP1000 allows you to load up your HDTV with the same Android apps that you now use on your Android smartphone or tablet and. 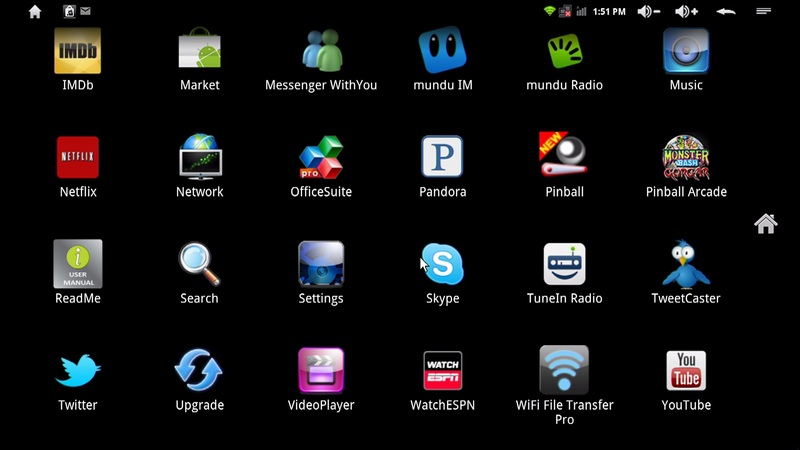 According to Diamond Multimedia, these apps include Skype, Twitter, Facebook, Pandora, Netflix and many other popular Android titles. The AMP1000 has access to Android apps from the Google Play app store. The AMP1000 comes with the Google Chrome Web browser, a music player, a photo viewer, an ebook reader and a game player. It also offers support for Adobe Flash, thus ensuring that online video will run as they would on your notebook or tablet. The AMP1000 Android Media Player connects to the Internet via Wi-Fi or with an Ethernet cable, which means you’re not limited to using it on a TV near your router. A Bluetooth option is $10 extra. The unit has 3.5GB of storage and an SD card slot for removable memory cards. It connects to your TV via HDMI cable. The AMP1000 comes with a slender thumb-driven, but full QWERTY keypad which also incorporates an integrated mouse. The unit is now available from various retailers and a rebate was expected be available soon on Diamond Multimedia’s Facebook page.